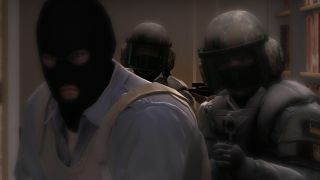 Experienced players know the importance of fighting quietly in Counter-Strike. You're slower when you walk, but a single footstep or over-cautious reload can give away your position and intentions. I took a moment to talk over a quick eco round where I found success by taking advantage of my opponents' inability to hear over the sound of their own gunfire.